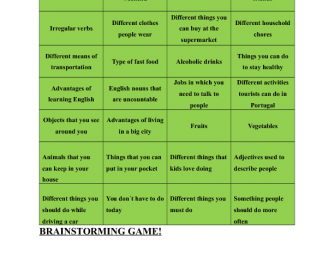 An engaging ice breaker that can be used with all age groups and levels. 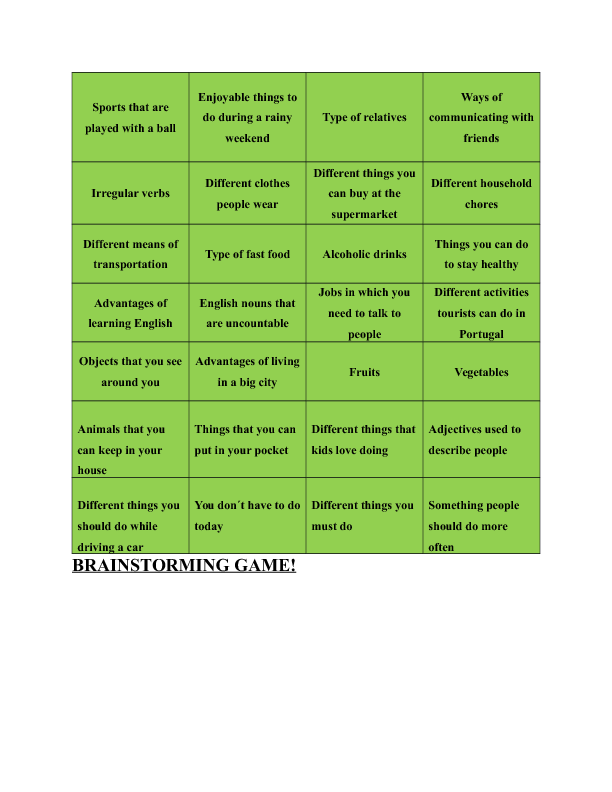 Students have to choose a card and brainstorm words connected to that topic. The topics include: sports played with a ball, types of relatives, jobs that involve talking to people, vegetables, things you mustn't do while driving and others.